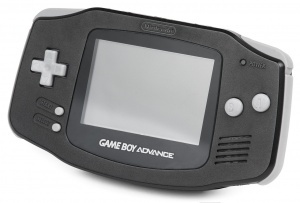 The Game Boy Advance is a handheld game console created by Nintendo in 2001. It is often described as a portable SNES due to its many ports. VBA-M is an updated version of Visual Boy Advance and useful for sprite rippers, due to its vast amount of features such as tile viewing, hex viewer, layer disabling and more. This also makes a good emulator for Game Boy and Game Boy Color games. In the past Visual Boy Advance is recommended however it is discovered that there is a vulnerability that could affect your computer with malware if cheats are used so be careful if you use the emulator. This page was last edited on 6 February 2019, at 11:46.